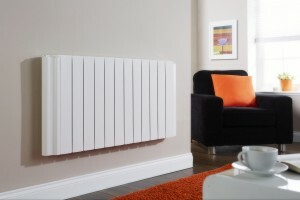 The Vantage has no buttons or display on the front of the radiator, making the radiator look sleek and unobtrusive. Where living areas are generally heated to 20 degrees or so, bedrooms can be heated to lower temperatures. The Vantage range is perfectly suited to bedroom heating, with full, individual control over each radiator, it allows total control over all rooms. Programming functions allow for a comfort and low temperature, as well as a frost protection setting, to be pre-set for any time of day. 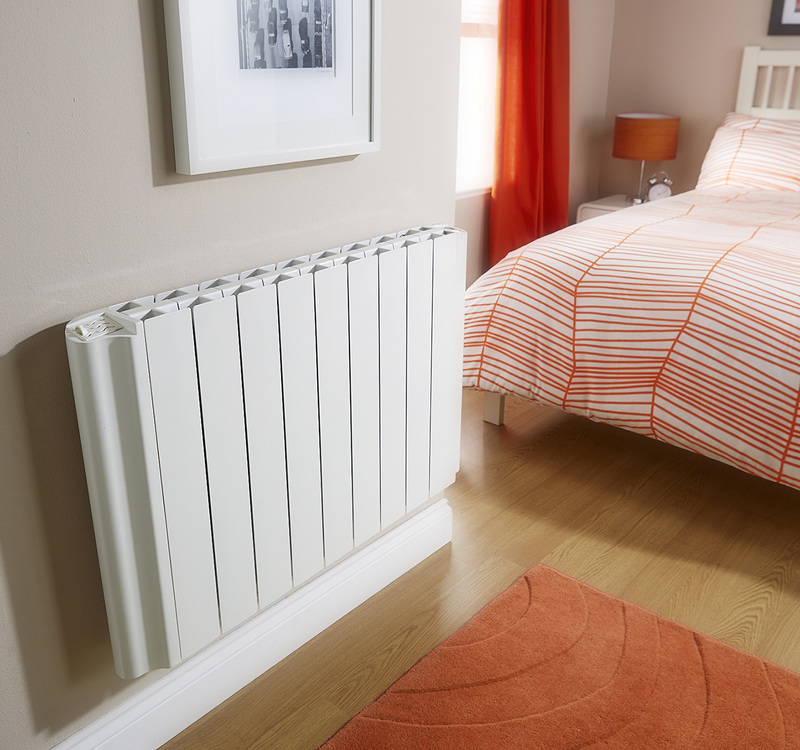 A maximum surface temperature of 70 degrees means that the Vantage is safe to use in children’s rooms too. The floor-level temperature sensor react quickly and precisely. The fluted design of the Economiser Radiator distributes heat in two ways. Firstly, the hollow flutes draw cool air from the floor. They warm the air, and push it out through the top grille. This circulates through the room, giving what is known as naturally convected heat. Secondly, the flutes form a deeply ridged surface. 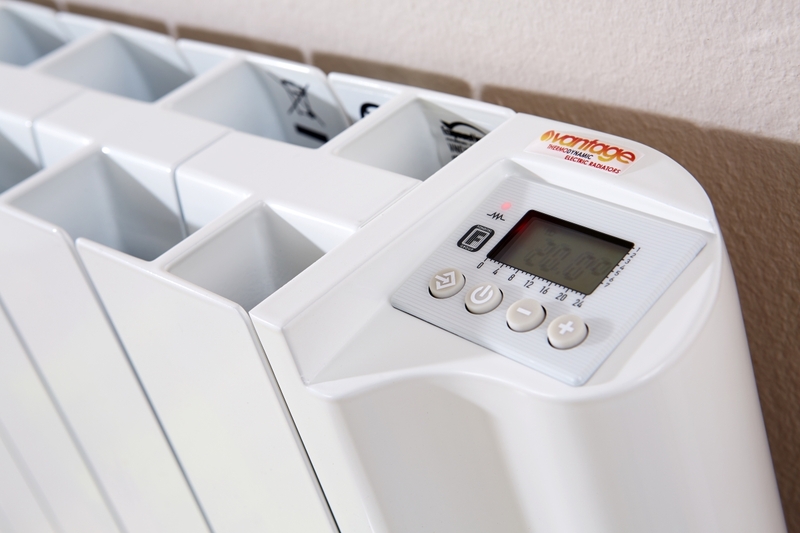 The surface area is maximised, which helps to significantly increase the amount of radiant heat, which is emitted from the front. 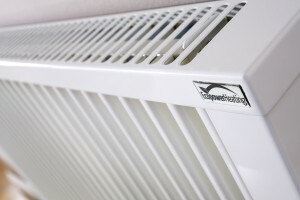 The controls are integrated into the vented aluminium side panel of the Vantage radiator. The controller is produced using only the highest quality electronic components from Europe. The LCD display is mounted on the top, for ease of use, and to create a neat, unobtrusive design. A newly developed microprocessor limits temperature fluctuations, for increased comfort levels and lowered energy consumption. 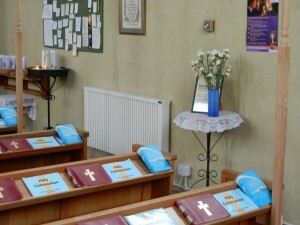 One of ten radiators installed in St Mary’s Church. The understated looks, wireless programmable control system, and excellent heat distribution, made the Economiser Range, an easy choice for the church. Two of the new-style vertical radiators were positioned on either side of the alter, while a combination of 2.5kw (pictured) and 2.0kw radiators were used throughout the church’s main area, and adjoining rooms. See more about this installation.